Welcome to 2019 – I certainly hope you and your families had a safe and merry Christmas and a happy New Year. I would like to start the year by sharing with you a touching story I received from a gentleman called Les who was diagnosed with Alzheimer’s disease last year. Like so many before him, Les tells me he was initially in denial about his Alzheimer’s diagnosis, but as time went on, things began to get serious. “I was in a state of denial and certainly wasn’t about to accept the opinion of these specialists,” said Les. “But I began to have serious problems with keeping scores at two of my favourite pastimes – bowls and golf. “I was marking (scoring) a game of bowls in the Club’s Singles Championship when I was asked by one of the players what the score was. I looked at the card and could not make head nor tail of it. Les tells me there were a few similar experiences while trying to score at golf. Receiving a diagnosis of dementia is not something people plan for and as Les is experiencing, it can be overwhelming. But, it is important to know there is support available. Accessing support as early as possible can help improve symptoms and slow down progression of the disease. It can also help the person and their family accept the diagnosis and prepare for the journey ahead. We offer an early intervention program at Alzheimer’s WA called Adjusting to Change. 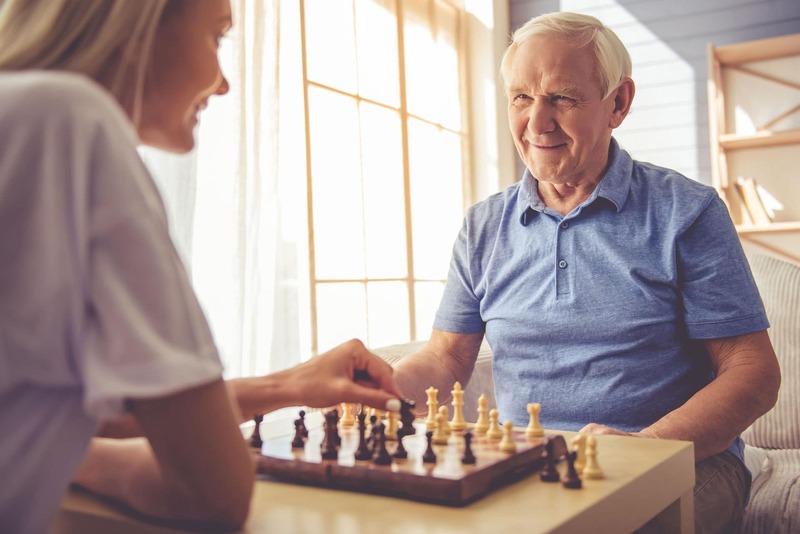 The program offers information and support for those living with early stage dementia and their support person, and includes a series of structured information sessions held weekly over a five-week period. When Les and his wife Kaye heard about the Adjusting to Change program, they decided to give it a go. Kaye tells me they are so grateful to the wonderful staff from Alzheimer’s WA who guided them through the five-week course. “The support from our sessions helped us to have a better understanding of Alzheimer’s disease,” said Kaye. “The practical support, discussions and avenues for assistance were extremely helpful and informative. “I cannot thank them enough for their efforts,” he said. If you, a family member or a friend have recently been diagnosed, I urge you to contact us here at Alzheimer’s WA and find out what support is available and where to begin. Finally, I would like to wish all readers a wonderful new year, and may 2019 be a year with a sense of purpose that has satisfaction, health and happiness in store for you all. To find out more, call us on 1300 66 77 88, email support@alzheimerswa.org.au or visit alzheimerswa.org.au.